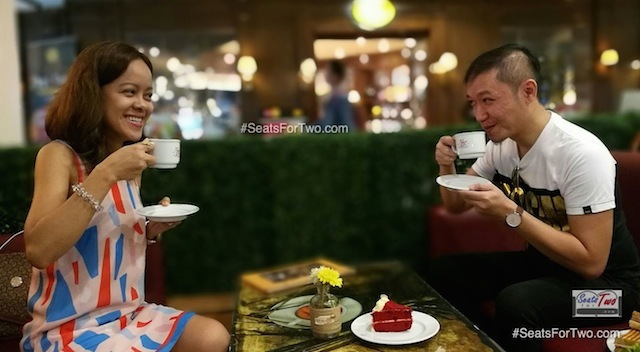 Seats For Two recently had a sort-of mini-Valentine’s date at Figaro Glorietta over a cup of Figaro‘s newest specialty coffee – the Rose Latte. 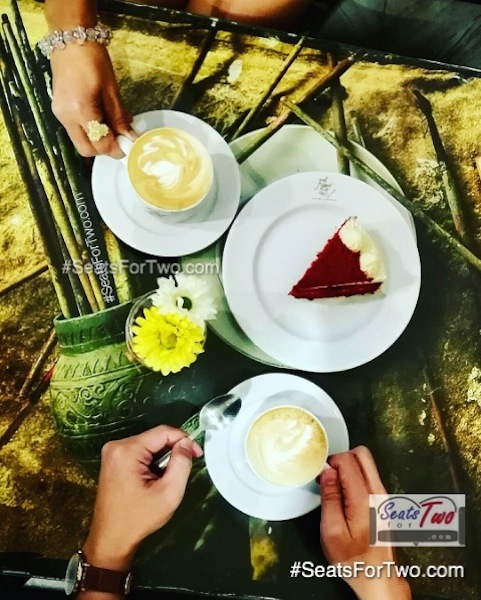 It’s basically your signature Figaro Coffee made creamier and infused with a rose-based flavoring for the extra sweet taste and floral aroma in time for the season of love. Available hot or iced, the small size is priced at Php 120 while the regular cup is Php 130. 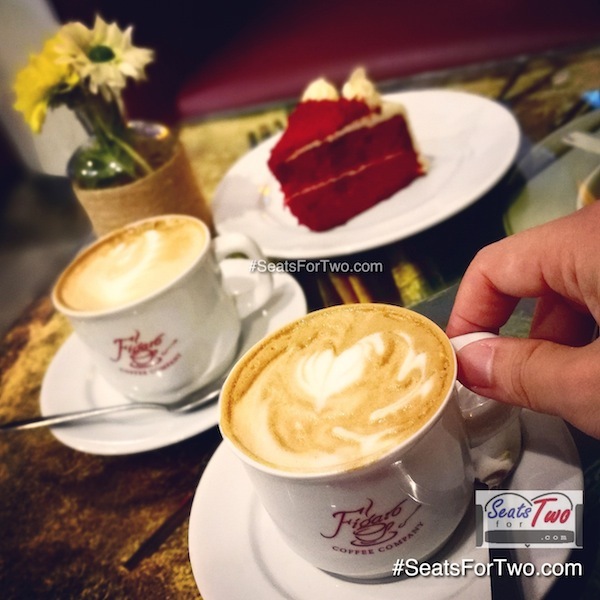 We suggest that this is a perfect cup to share after your Valentine’s date with a special someone if you want to spend extra time with him / her. Coffee is always a good excuse to prolong the night, right? We also paired it with Figaro‘s famous Red Velvet Cake and it’s a match! Alternatively, we think the strawberry cheesecake is also a good food pair for this. Figaro Coffee‘s limited-edition Rose Latte is available only this month of February (2017).